Everyone has their own way of grieving. Some like to write poetry and listen to music, some like to create a memorial, some go through old photo albums filled with pictures, some write, and so much more. I have several ways I deal with my grief, but my go-to is writing. I have a journal on my laptop where I just write whatever comes to me. I have an actual bound journal that I keep by my bed for thoughts and reflections. Both of these journals help me release what is inside of me and help me to find words when I feel completely lost and speechless. This week has been a particularly hard week. I should be half-way through my pregnancy with my 4th Angel. I should be finding out if our precious baby was a boy or a girl. I should be planning a gender reveal party and kicking into high-gear with nursery decorating. I should be laughing at how big my belly is getting and how I am starting to get that pregnancy walk. I should be happy. 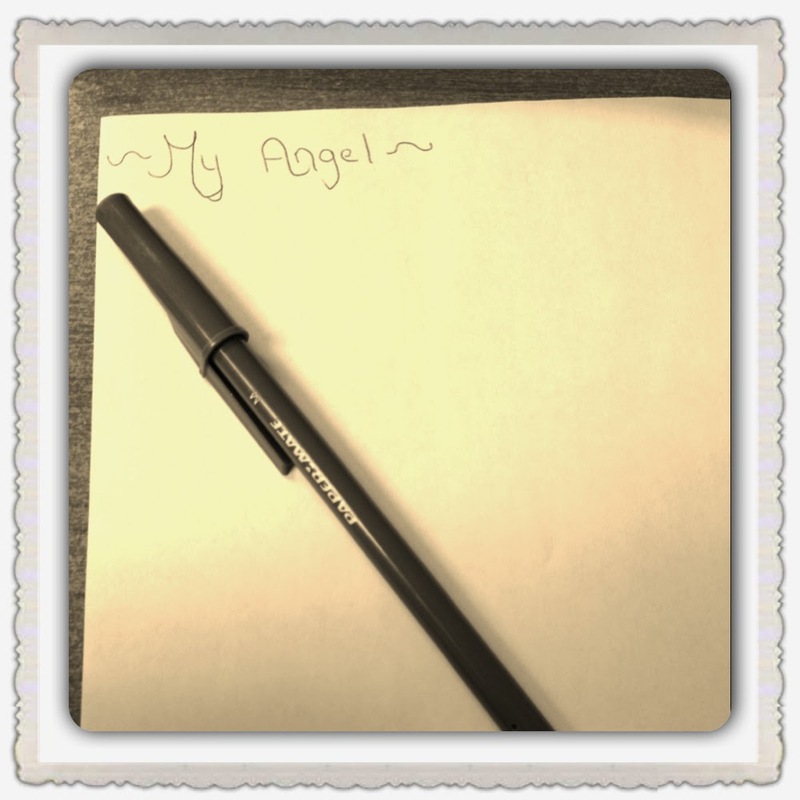 I sat down last night and wrote a letter to our 4th Angel, and I wanted to share it with you. Perhaps, as you are moving through your own grief, this letter will help you to find your own words and write for comfort and release. You should be getting so big and strong in my womb- kicking your legs and stretching your arms. I should feel you moving as your Daddy and I push on my belly to watch you roll to go back to sleep. I should be finding out this week if you are a boy or a girl. No matter what though, we would be happy. You are perfect and you are ours. Even though I never got to meet you or feel a kick, I knew you were there. I felt your presence and cherished every moment. You are still perfect and you are certainly still my child. I long to feel your kick and to see your chubby cheeks on the screen. Maybe my pregnancy would have been tough- filled with sickness and back pain. I want you to know, I would choose to be sick every day for 40 weeks with glee to hold you in my arms. My only comfort is knowing you are in Heaven with God. I know he holds you in his arms and you know a happiness unlike any found on Earth. While it comforts me to know you are with God, my heart still breaks because you are not with me. We are all God’s children first, but I still longed to be your Mom and hold you in my arms. I wanted to rock you to sleep, tell you stories, buy you your first bike, see your face light up when you saw the ocean for the first time, and kiss away your tears. I am only human and I struggle with God’s plan. Being blessed with a child is a gift unlike any other. It is a miracle and an honor to be bestowed with the responsibility of being a Mother. Why take that away? What is the plan? I am trying so hard to walk this journey and not waiver in my faith- but it is not always easy. I often wonder if you have met my Grandfathers and other family members. I get great comfort out of picturing my Grandfathers holding you tight and telling you all of their crazy stories. You will know everything there is to know about everything if you have met them. They are both great story-tellers. I have this picture of my Grandfathers holding you, wrapped in a soft yellow blanket, and smiling at you as they tell you about me. It brings me so much joy to think of you with them. I want you to know that my love for you never stops- it only grows. I think of you every day and always will. I know I am blessed to have been chosen as your Mother, if only for a short time, but that doesn’t stop my heart from aching.